The new Xbox One is able to play multiple applications at once, and the process is pretty darn easy using the Snap feature. WIth the Snap feature, you can launch apps like Skype, Internet Explorer, or Netflix while playing your favorite games. You can launch Snap by either saying "Xbox Snap" and then saying the name of the app you wish to launch. If you can't get voice commands to work properly, check out our guide on improving voice recognition. You can also select Snap from the Home Screen. Once Snapped, you will have the main window and the Snap window to the right. 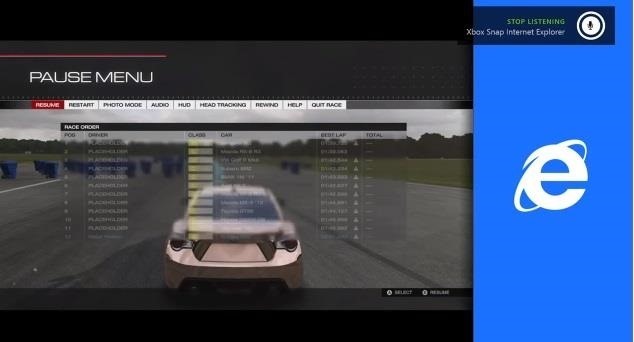 You can switch the focus by using a controller and pressing the Xbox button to go Home (or say "Xbox, go home"). At the Home screen, you can change the focus by selecting the app tile that you want to put focus on and press A on your controller. You can also double-tap the Xbox button to switch focus or say "Xbox, switch." For a quick walkthrough, check out the video below from Yusuf Mehdi of WikiGameGuides. 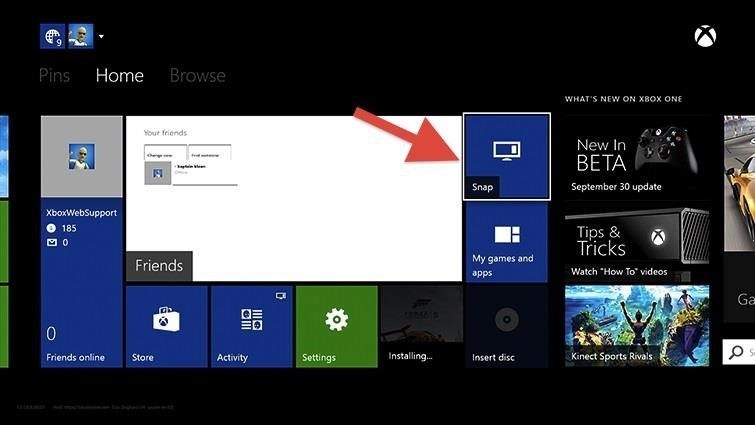 To unsnap and app, you can simply say "Xbox unsnap" or go to the Home Screen by pressing the Xbox button or saying "Xbox, go Home" and deselecting your snapped application.